Parsva #bakasana. Side crow/crane pose. With Charlie. On the road home from vacation. 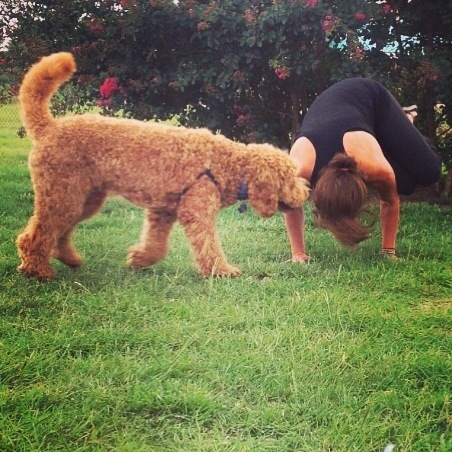 Pit stop for dog run and a little yoga for mom. Today’s #independenceARMy Instagram challenge. Details, modifications, and tags at @laurasykora17 @beachyogagirl @kinoyoga @glyderapparel.